San Francisco’s plastic bag ban goes into effect today as another step toward becoming a “zero-waste” city. Store owners who don’t comply with the ban will be subject to a fine. The new ordinance will force San Francisco businesses to swap plastic for paper and start charging customers 10 cents per bag. Customers will also receive 10 cents off for each bag they bring in. Eateries are exempt until July 2013 due to food safety and hygiene. 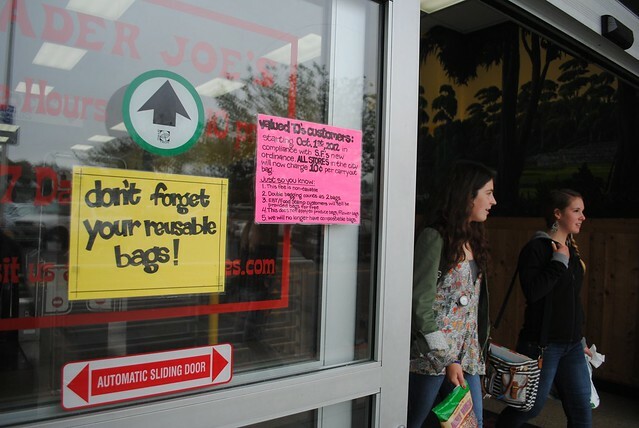 The SFSU Bookstore will not be affected by the ordinance because their bags are biodegradable, said Husam Erciyes, the Bookstore’s director of strategic projects and marketing. The Bookstore also offers reusable bags for 99 cents. Janate Qutami, manager at the Village Market and Pizza said the demand for bags is little, unless the items are either heavy or a substantial amount. She said students should be encouraged to carry around eco-friendly shopping bags. “I like it when they bring their own bags, and I hope everyone else does it too,” Qutami said. Angela Raiford contributed to this report.